Vantage Pharmacy are agents for UK stair lift company who have been manufacturing and installing stair lifts since 1992. 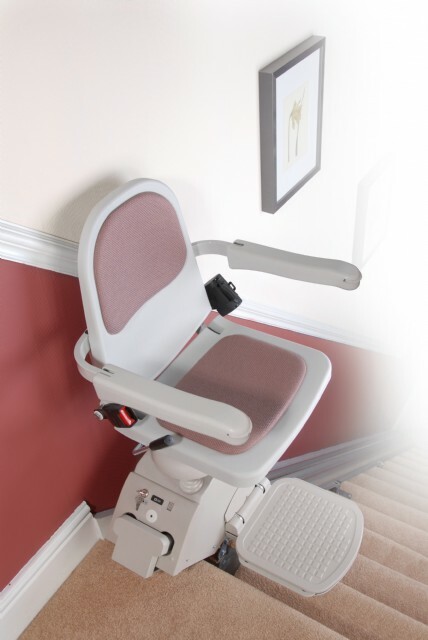 The stair lifts have been designed to be extremely reliable and easy to use. A simple toggle moves the lift up and down and does not require any additional input by the user. More than ninety-nine percent of stair lifts have never experienced a breakdown. In the unlikely event of a breakdown however they have a team of highly trained engineers who are located throughout the UK and are able to respond quickly to the problem. The stair lift has been recently redesigned so it doesn't get in your way. The stair lift can be folded away when not in use and leave plenty of room to walk up and down the stairs. All of their stair lifts strictly abide by British Safety Standards and would not allow a stair lift to obstruct a staircase in any way.